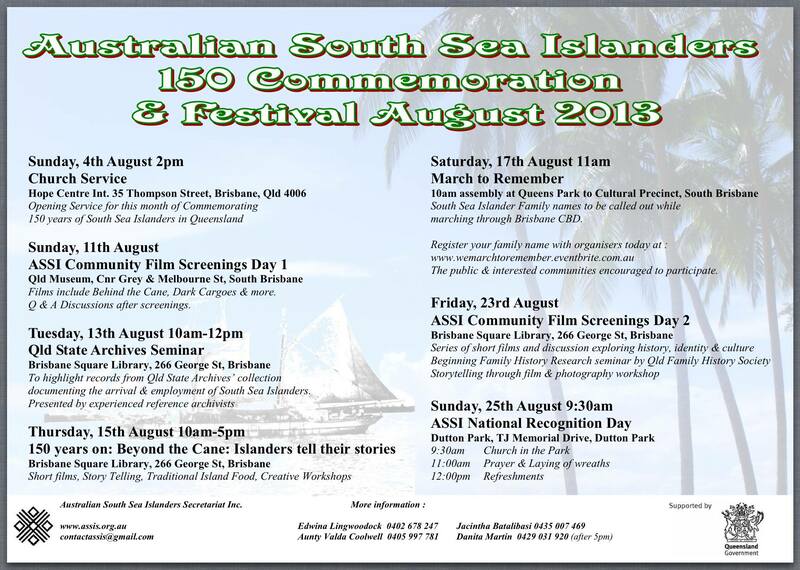 In August 2013, the Australian South Sea Islanders Secretariat (www.assis.org.au) is presenting Australian South Sea Islanders 150 Commemoration & Festival in Brisbane. There are a number of events happening and you could jump on board at the March to Remember tomorrow (SAT 17 August) starting at Raddacliffe Place in Brisbane city from 10am – all welcome. “August 2013 will mark 150 years since the ship, the Don Juan arrived with 67 Pacific Islanders on board to work as indentured labourers in Qld. Many more ships came with many more South Sea Islanders over the next 40 years. 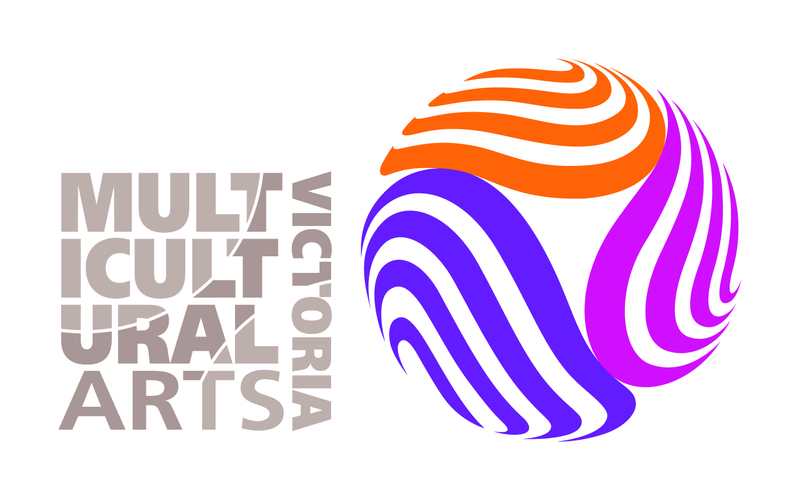 This March is to REMEMBER those who were brought here, to ACKNOWLEDGE their contributions and CELEBRATE the survival of South Sea Islanders here in Australia despite the many hardships faced over the last 150 years.” (ASSIS Facebook Event). 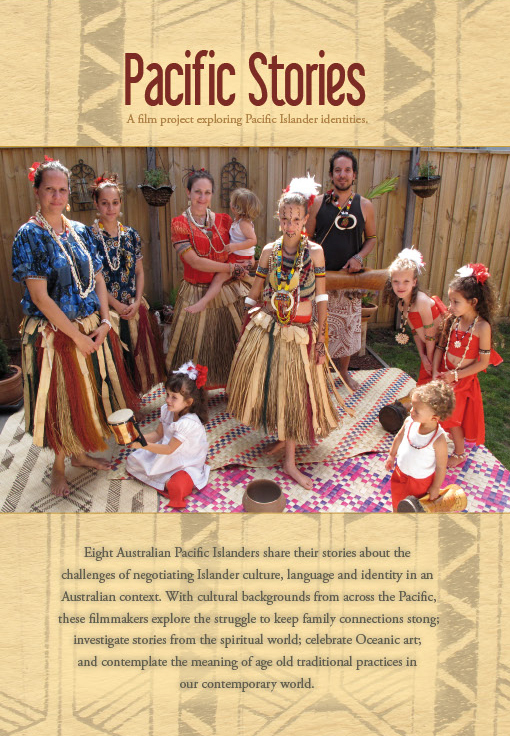 Pacific Stories Co-facilitator and documentary filmmaker Amie Batalibasi has been working with the Australian South Sea Islanders Secretariat to run some community film screenings and a digital story workshop on 23rd August at Brisbane Square library. Please find the flyer and program below. Here is the Facebook Event: ASSI Community Film Screenings Day 2. 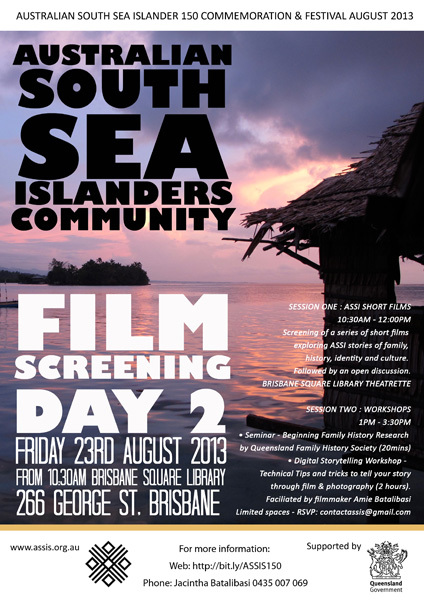 The showcase of ASSI Community Film Screenings involves Short Films and Workshops at Brisbane Square Library!! Please join us -FREE EVENT!! Screening of a series of short films exploring ASSI stories of family, history, identity and culture. Followed by an open discussion. SESSION TWO : WORKSHOPS (Brisbane Square Library – “The End Room” Level 2. Technical Tips and tricks to tell your story through film & photography (2 hours). Limited spaces for this workshop – RSVP: email: contactassis@gmail.com or phone Jacintha Batalbasi Ph:0435 007 069. ADDRESS: Brisbane Square Library, 266 George St, Brisbane. DIRECTIONS: Enter on the ground level, go past Cafe and Information Desk to find the THEATRETTE (for Session ONE). For Session TWO Workshops take the lift or escalators (near the information desk) up to Level 2 – exit left to “The End Room”.